How we made social media our business – The influencers. "The key to monetizing is to stay the course and be professional." Adam Maina. The ever-increasing popularity of social media has changed the way we interact with brands. This has given rise to a new breed of marketers who have spotted a business opportunity of using social media platforms to promote brands hence turning social media into a mainstream marketing platform. Influencer marketers have become opinion leaders in this age of social media due to the strong relationship they have with their audience and can therefore easily sway their purchasing habits. We had the pleasure of interviewing Adam Maina (@AdamMaina_), Kevin Mboya (@itsmboya_k) and Peter Wandera (@Pyewaw) to find out what it takes to build a social media empire. How did you end up being an influencer? Adam: On the surface, it is by growing sizeable online platforms numbers but it is more than that, I wanted more lifestyle exposure (Music, Travel and Sports) and I felt that it would be useful to become a lifestyle insider. I wanted to interact with people who shared my same passion. I start and participate in conversations around my interests, and my followers appreciate it. It’s mixed in with sponsored posts, so there is a difference there; that’s deeper than the number of people following you or the number of likes you’re getting. Mboya: I became an influencer after campus life had become so hard for me. Things were not working out financially. When you are a student the upkeep money you receive from your parents or guardians cannot sustain you for the whole semester especially with the increasing day to day essentials such as food, accommodation and utility bills. One is forced to look for a part-time job so as to remain financially secure. I tried so many things like hawking electronic appliances from one hostel to the another, doing assignments for other students at a fee, selling tickets whenever we had events for a commission. One day a friend who has always loved social media told me that it is possible to make money using Facebook and Twitter. Since that day things have never been the same again. Peter: I never realized I was one until I got paid for a Twitter campaign. So, I made it an obligation to become well known. I have presence in Kenya, South Africa, Nigeria, Ghana and Uganda and in some parts of USA, UK and India. Besides being an influencer, what do you do? Adam: I am a full-time digital content creator, I travel a lot for work and leisure. 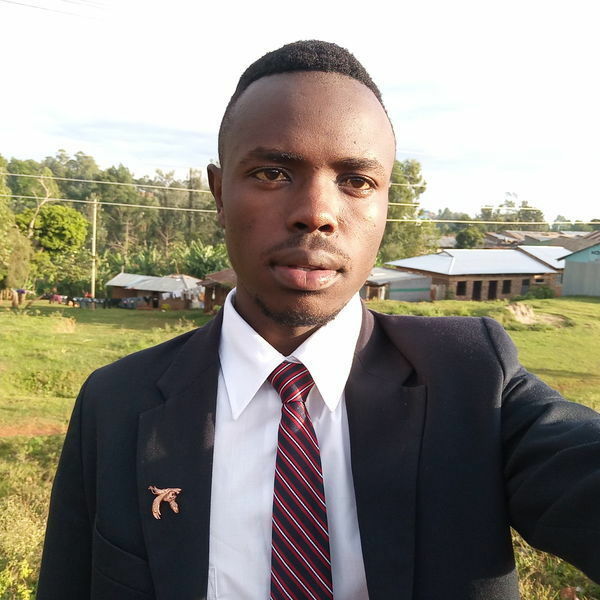 Mboya: I am a fourth-year student at Maseno University (main campus). I am on my final semester and I am pursuing a Bachelor of Art Degree in Development Studies in IT. Peter: I am a 3rd Year student at Mount Kenya University pursuing a bachelor’s degree in Real Estate. Tell us about your first big break on Twitter. Adam: My first big break was with a phone brand, It was to build awareness and push sales for their releases. It was really impactful and made me meet amazing minds that helped me grow myself personally and my brand. Mboya: My first big break came nearly after a year that is when I had established my brand. One of the renowned brands in Kenya had accepted me as their social media account manager for a contract of six months. Peter: I haven’t had a proper “big break” but being part of Fuzu’s campaign might count as one for now. However, I have worked with Mukuru Fest a youth founded and youth-led community-based organization within Mukuru slum, the Ministry of Health, Mount Kenya University just to name a few. As an influencer, do you think people take you seriously as an entrepreneur/ business person? Adam: I structure, write and create content about lifestyle and it may not resemble ‘work’ to some people but this is a real job. It’s a hard job. But there is this idea that work should be in an office with clearly defined roles and that that is ‘work’, and anything else is not ‘real’ work. We are in 2019. That should change. Mboya: Yes, this is because being an influencer is a business like any other. Being an influencer means that you will have to invest your resources and above all dedicate a lot of time to it so that you can realize some meaningful achievements and also be able to pay your bills. Those that have ventured in this field of influencer marketing have ended up earning themselves a lot of respect because of the impact that they create. Peter: Yes they do, people who are well-versed with influencer marketing and know what it entails will treat you as a business person. What are the various revenue streams for an influencer? Adam: The key to monetizing is to stay the course and be professional. I have monetized my blog and YouTube with Google AdSense, where I get paid a certain amount per thousand impressions or per click. 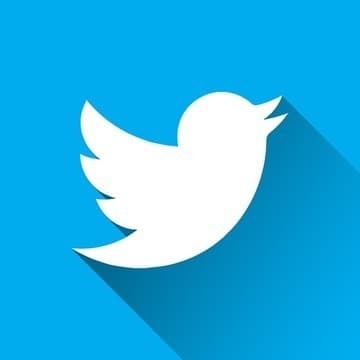 Sponsored posts or sponsored content are paid for by the brands to promote their products or services through Twitter, Instagram, YouTube, Facebook or whichever platform they wish to choose. Usually, it can be a combination of all these outlets together. Mboya: First, influencer marketing is a fairly new domain of digital marketing, however, it presents a lot of opportunities. Influencer marketing can be a full-time profession if you really have the passion to be in this field. One can easily monetize the platform and even generate sufficient income from it. The various revenue streams for an influencer can be sharing sponsored content across social media platforms, sharing sponsored social media posts, brand representative or endorsing brands, affiliate marketing, consultancy, guest appearances, television or radio show appearances and YouTube among so many others. Peter: Personally, I make money from retweeting other Twitter users (yeah, my retweets cost a decent amount of money), promoting sound cloud artists, Twitter account management and twitter campaigns. Influencers can make money from brand endorsements and partnerships, advertising campaigns, selling their own merchandise, they are basically “celebrity endorsers”. Let’s talk money. Averagely, how much would you make on a bad month? Adam: It can range anywhere from 100,000 and above. Mboya: Haha, that is a tricky question for me but I will have to answer it anyway. Well, when I am having that bad day in office I can make as little as Ksh. 2,000. Peter: Enough to keep me going at school even without my parents’ financial support though I’m highly confident I will make a lot this year, I know some who makes up to Kshs. 500,000 a month and I will beat this mark soon. In your opinion, what is the role of social media influencers in this modern society? Adam: Influencers generate conversation, drive engagement, and set cultural trends. We tend to be early adopters of new products and services, creating desire amongst our audiences. These audiences are more receptive of social media influencers than celebrities. If used positively, our voice can shape a lot. Mboya: I believe that it is the role of social media influencers to shape and form conversations in regard to social issues and matters that are of public concern like unemployment and drug abuse. Peter: They shape how businesses interact with consumers, they shape the opinions and decisions of people. If an influencer, for instance, is paid to promote propaganda or a good cause his/her audience will be swayed. That`s how influential these people are. Why should businesses embrace influencer marketing? Adam: For existing businesses, startups and new businesses looking to build their brand credibility, it is important to work with influencers to better your brand. The amazing thing about embracing influencers is that you can gain a lot at once, including: create great content, earn credibility, gain exposure through our audience. Mboya: I believe that it would be of great importance businesses engage influencers. Currently, influencer marketing is among the key marketing tactics that one can use to expand his or her business reach and create awareness. Peter: Businesses should embrace influencer marketing since millennial consumers are likely to buy a product or a service based on a recommendation from someone who shares their point of view. That person is an influencer. How do you decide what to or not to promote? Adam: I get requests to work with brands in different capacities. So, the first thing is whether it feels like it would be a good fit for my audience. I don't feel comfortable putting just any content on my channels. I know the types of content that will most engage my audience, so I appreciate when I have input in these types of decisions. Mboya: That is very important as far as influencer marketing is concerned. My number one consideration is I am always trying to promote brands and products that I seem to believe in. Peter: I follow my ethics, I can`t promote anything political or controversial. I take into consideration the brand or individuals I work with and sought out to maintain a positive image. What’s that one thing the outside world doesn’t understand about what you do? Adam: Understanding that this a job, so setting prices that are commensurate with my work is always an issue. Kenya mostly has not fully grasped the idea of why you should be paid for “online work”. Mboya: Many people, especially those who are not part of this young generation, think of influencer marketing as an area that is only meant for those people who are not serious. However, the truth is it takes a lot of hard work and strategies to be successful. Anyone can write a Facebook post or a tweet but engaging with your audience takes a real insight into your demographics’ mindset and establishing what really matters to them. For sure this work is not easy. Peter: Whatever I do, I do it for fun, make money for fun and have a dedicated time for social media. I concentrate a lot on schooling and my own personal life, I don`t let the internet put me under its sway. I also have big goals and I’m a professional. If you could change anything about social media, what would it be? Adam: That would be cyberbullying. Recently there has been a global outcry on mental health and I have come to see that social media is highly shaping this generation, so in the same way, the negativity and trolls are taking a toll on most people and badly affecting their daily lives. Mboya: I would advocate for or even take part in the formulation of policies that will help address the issues of trolls and cyberbullying. We have all come across these baleful netizens who are fond of thoughtless comments and online harassment who end up causing serious distress. Peter: Hate, I would definitely do away with any users who promote any form of hate, be it racism, xenophobia, bullying etc. There are many shortcuts one can take nowadays to be an influencer. For instance, you can buy followers. What do you tell newbies looking for an easy way in? Adam: It is easy to be tempted into fake numbers but that’s lying to yourself. Stay consistent, build your audience, it will take time but it will surely be worth it. It may take years to grow an audience, so try not to get discouraged if it takes longer than expected to grow. Mboya: I know some people may be tempted to boost the number of followers or fans that they have. Having a large number of followers looks good, however, if you did not grow your community organically then you will have a problem with other important metrics. My advice to the newbies is buying followers will mean low engagement for you because you bought followers who don’t relate with what you post online. Shortcuts will make you lose your integrity and reputation in the influencer marketing space. The best thing is to grow your followers organically. Peter: There is no easy way in, you have to build yourself. Though I have come up too fast, it’s because I have been relentless and consistent in trying to get myself known. Plus I spend a lot of time learning different strategies Western influencers use. That always gives me an edge. you're great people i love your job of advertising and keeping people updated each and every time. Woohh this is amazing !! I have grasped something.. But how does one become an influencer?? Where do you start from?? Hi guys! I need help with growing my blog into a Brand. Here's the link to the blog:: https://njoo.co.ke . Kindly contact me from here:: https://bit.ly/am-awesome . Thank you very much.